Rheumatoid arthritis (RA) is a chronic, inflammatory disease characterized by joint swelling, joint tenderness, and progressive destruction of synovial joints, which can lead to severe disability and premature mortality. Treat-to-target recommendations emphasize the need to commence therapeutic intervention early using disease-modifying antirheumatic drugs (DMARDs) with frequent reassessment and adjustment of treatment to ensure that patients have a chance to achieve the goal of disease remission. However, diagnosis and active therapy for early RA is often delayed, which can have long-term adverse consequences on disease progression. By providing evidence-based “top 10” pearls to PCPs, rheumatologists can help PCPs to diagnose RA and to be familiar with the available treatment options for RA, as they have to decide whether to initiate treatment or refer the patient to a specialist–but also care for the patient while awaiting a specialist appointment. Chronotherapeutic advances in the treatment of RA can help PCPs to bridge therapy and treat to target. Chronotherapy–which is defined as the judicious timing of conventional or special drug-release therapeutic interventions in order to align drug peak and trough concentrations to specific circadian (~24-hour) rhythm markers of disease activity of medical conditions–is a means to optimize treatment outcomes and potentially minimize or avoid adverse effects (AEs). The University of North Texas Health Science Center at Fort Worth Office of Professional & Continuing Education (PACE) requires everyone who is in a position to control the content of an accredited educational activity to disclose all relevant financial relationships with any commercial interest. PACE reviews information provided by presenters and determines if a conflict of interest exists and, if so, what steps should be taken to resolve the conflict. Refusing to disclose relevant financial relationships will preclude presenters, planning committee members and/or others who could potentially influence content from participating in the planning and implementation of this accredited continuing education activity. Michael H. Smolensky, PhD, has no conflicts of interest to disclose. He has disclosed that he has received honorarium from EHC Communications for participation on an advisory committee, honorarium from Science Branding for consulting, and honorarium from Informa Healthcare as co-editor of the academic journal Chronobiology International. Raymond M. Pertusi, DO, has no conflicts of interest to disclose. Andrew Crim, BS, has no conflicts of interest to disclose. Kelly Zarwell has no conflicts of interest to disclose. Angela Casey has no conflicts of interest to disclose. This educational activity does not include information about off-label use of a product. The University of North Texas Health Science Center at Fort Worth Office of Professional and Continuing Education is accredited by the American Osteopathic Association to award continuing medical education to physicians. This activity has been planned and implemented in accordance with the Essential Areas and policies of the Accreditation Council for Continuing Medical Education through the joint sponsorship of The University of North Texas Health Science Center at Fort Worth Office of Professional and Continuing Education and PharmaCom Group, Inc. The University of North Texas Health Science Center at Fort Worth Office of Professional and Continuing Medical Education is accredited by the ACCME to provide continuing medical education for physicians. The University of North Texas Health Science Center has requested that the AOA Council on Continuing Medical Education approve this program for 1 hour of AOA Category 1B CME credits. Approval is currently pending. The University of North Texas Health Science Center at Fort Worth designates this activity for a maximum of 1 AMA PRA Category 1 Credit(s)™. American Academy of Physician Assistants (AAPA) accepts certificates of participation for educational activities certified for AMA PRA Category 1 Credit™ from organizations accredited by the ACCME. Physician assistants may receive a maximum of 1 hour of Category 1 credit for completing this program. This activity is offered at no charge. Aggregated data collected as part of this CME activity may be analyzed and used for research purposes. 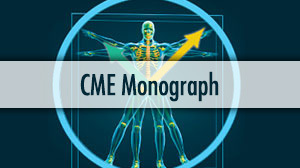 Individual data will only be used for CME purposes and not included in the research data set. This activity is supported by an educational grant from Horizon Pharma.